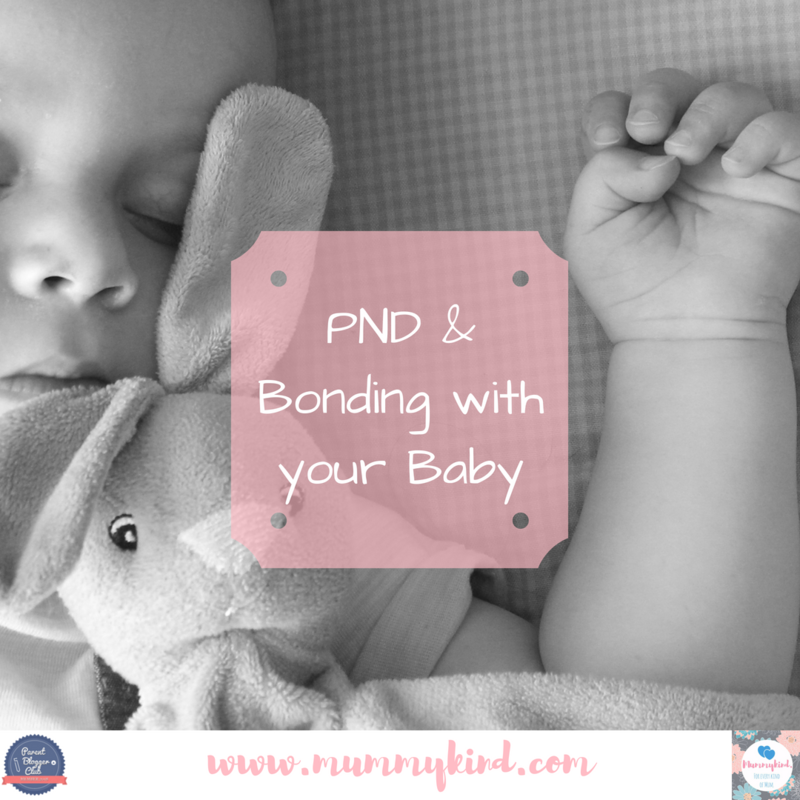 Having trouble bonding with your newborn isn’t something limited to those experiencing PND – it actually happens to most mums after giving birth, and is a common part of the “baby blues”. There’s an expectation that everything will be wonderful and magical, but in actual fact your body has gone through an immensely traumatic experience, and for the next 2 or 3 months you will be sleep deprived beyond belief. It’s no wonder that sometimes the bonding isn’t automatic, or just takes a little longer. Immediately after I gave birth to my daughter she was placed on my tummy for skin-to-skin, recommended to keep baby warm and to benefit baby straight after leaving the security of the womb. She stayed there for all of 10 seconds before I had to ask someone to move her. I had been throwing up throughout labour and was still being sick into a paper bowl, shaking too much to hold her properly. After that I didn’t hold her very much, except when she was being fed. I didn’t know what I was doing with her. It was the single most daunting experience of my life that first day in the hospital – a midwife huffily “helped” to latch her on to me, told me I was doing things wrong and fixed them for me, not advising me but just doing it for me because I seemed so incapable. Even nappy-changing was a struggle, and with 4 younger siblings that was something I’d done my fair share of in the past. Around 2 or 3 weeks after she was born, my mother-in-law got back from her holiday to New York so we went to visit, driving from Kent to Essex. The drive wasn’t so bad, but when we got there, it was impossible to settle her to sleep. She just screamed, for hours, and I didn’t know what to do. My husband and I drove around Corringham with her, hoping that the motion of the car would settle her, but, if anything, it made her worse. Usually, that would have done the trick. We started to suspect it was colic, something I’d never heard of, and, of course, that made me feel even more unprepared and inadequate to be a parent. Don’t worry – this story gets better, I promise. That night I received the best advice I’ve ever been given, though I didn’t use it straight away. My mother-in-law asked if I’d tried singing to her, took Olivia, rocked her and sung a song her mum used to sing. Just like that, the screaming, crying baby was gone. She was asleep, and peaceful. At first, I didn’t think it had anything to do with the singing. I thought my baby had had enough of me already in the first month of her life. The next night, the outbursts started again, so I tried it, not holding out much hope that it would work. And not only that, but I cried tears of joy for the first time since she had been born. Partly due to the fact that I’d found something that would allow me some sleep for the foreseeable future, but mostly because for the first time I felt needed for something more than just milk. 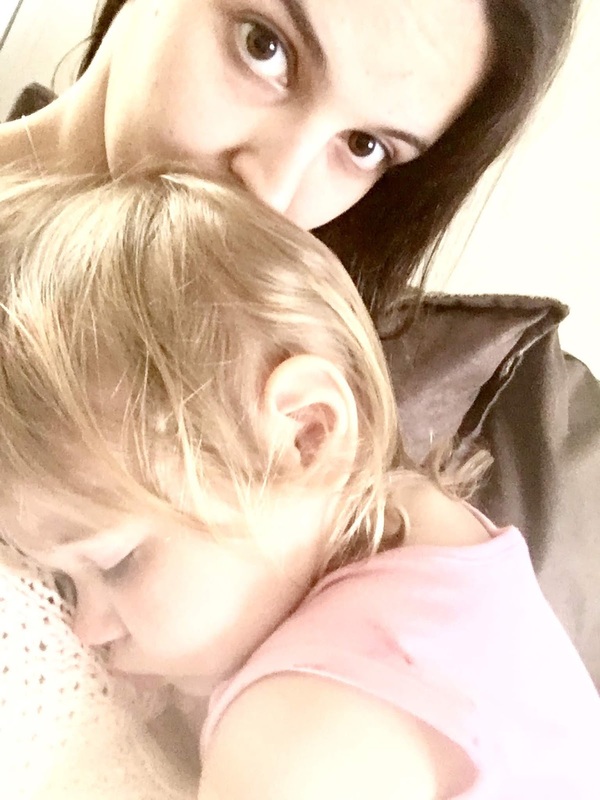 I felt like my baby loved me because she felt safe and secure enough in my arms for me to soothe her to sleep with a song. I forgot that she had spent 9 months listening to me singing and talking from inside the womb. I forgot that she was already so familiar and comfortable with my voice that she would recognise it now that she was on the outside. I didn’t know that, at the same time as calming her, it would calm me, too. So, if you’re one for singing in the shower, your baby has heard it and fallen in love with it already. Try it. Even if you’re not one for singing at all! Try singing to your baby and see if it has the same effect. You don’t have to be Mariah Carey or Beyonce… You just have to be you. Your baby knows you and your voice better than anyone else in the world. Next Post Things to remember when you fall out of love with someone you thought you’d love forever.